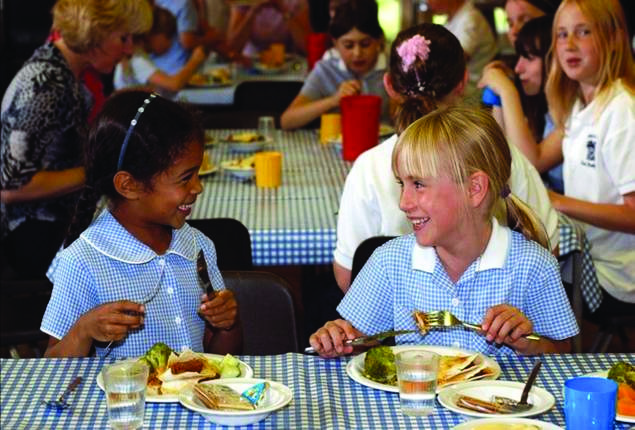 Children benefit from a whole school approach to food, but will the message get through? A whole school approach to food that links practical food education with quality school dinners leads to a better family diet and can improve academic performance and behaviour. But in the current political and economic climate, there’s no certainty that this learning will fall on fertile ground. The Food for Life Partnership (FFLP), a project led by the Soil Association, was set up to encourage pupils and their parents to eat healthy food and learn how to cook it and grow it themselves. It also reconnects families with farms and the dilemmas of modern food production. UWE’s evaluation found that schools were rated more highly by inspectors after taking part in the FFLP programme. It also showed that pupils’ interest in healthy and sustainable foods was having an effect on their eating habits and their parents’ shopping habits. The project has proved popular, with over 350 schools signed up to the scheme in the South West. Nationally, more than 3,600 schools are now members of the programme which encourages them to work towards Bronze, Silver and Gold levels of the Food for Life Partnership award scheme. Over 2,800 schools now serve Food for Life menus which are seasonal and freshly prepared with no hydrogenated fats or battery eggs. More than twice as many FFLP primary schools received an Ofsted rating of outstanding following their participation (37.2% compared to 17.3% outstanding pre-enrolment). Head teachers reported a positive impact on pupil behaviour, attention and attainment. 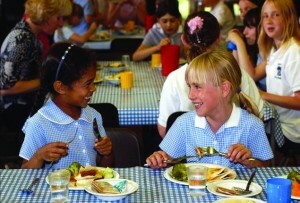 The programme is associated with changes in eating habits: with an increase in the proportion of primary school-age children reporting eating five portions of fruit or vegetables a day by 5 percentage points to 21 per cent (those reporting eating four or more portions rose by 12 percentage points to 49 per cent). And 45 per cent of parents said the family is eating more vegetables, with 43 per cent switching to healthier and more sustainable choices in the shopping basket. Disadvantaged pupils are benefiting: over a two-year period, free school meal take-up went up 13 percentage points in FFLP schools, 20.9 per cent in secondary schools, and by 21 per cent across the board in schools achieving the FFLP Silver or Gold award. Inspectors have recognised the positive role of FFLP in supporting personal development and wellbeing: 67.1 per cent of schools felt the programme had a clear impact on their Ofsted report in terms of pupils’ personal development and well-being. Teachers, students and parents said that they saw the value in a programme that helped connect school food issues as matters of both health and sustainability. This made a lot of sense for children who took their learning from classroom to dining hall and back to their homes. But just when positive outcomes highlight the value of food culture, local authorities are having to cut school meal budgets (www.bristol.gov.uk/ccm/cms-service/stream/asset/?asset_id=36036061) and central government talks of a back-to-basics curriculum in which food may not be deemed a subject of much educational worth. So while food in school has come a long way since the days of Jamie Oliver’s School Dinners, there’s a real risk that good work is going to be undone.